Makar Sankranti is celebrated on January 14th each year. This date does not change as it is not based on the lunar calendar, but unusually it is dependent on the position of the sun and so its date remains constant with the Gregorian calendar. Sankranti means the entry of the sun from one zodiac to another. 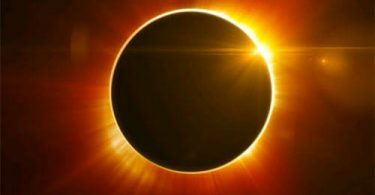 During this period the sun begins a northward movement, and so the occasion is also known as Uttarayan literally meaning northern movement. Daylight hours increase from this day and the actual Sankranti occurs in an extremely short period. This festival is celebrated every year, and has both astronomical and geographical implications related to Planet Earth. It can therefore be termed as a Festival of Nature. Our Earth, which revolves around the Sun and rotates on its own axis, has a periodical movement. It circles around the Sun in an oval manner. Every six months it swings from one end to another. Those two points of transition of Earth are celebrated among the Hindu community as Sankramanas  Makara Sankramana in January and Karkataka (Mithuna) Sankramana in June. Looking from Earth, the Suns northward journey begins around 22nd December. Hindu calendars (Panchangas), which are ages old, give this date as the commencement forUttarayana. An ayana is a period of six months. Every year has two ayanas: Uttarayana and Dakshinayana. Uttarayana is the northward journey of the Sun and Dakshinayana is the southward journey. 22nd December is therefore the shortest day of the year, also known as the winter solstice. Makara Sankramana falls during Uttarayana. It is on this day that the Sun rises latest in the day (but the day is not the shortest), as the Sun enters the zodiac of Makara (Capricorn). In other words, if we look at the eastern horizon at a fixed time in the morning on Makra Sankramana day, the Sun appears to be at the lowest point with respect to the horizon. From this day onwards, the Sun rises earlier with each passing day, till Karkataka Sankramana (early June). o The Earths movement in its revolution around the Sun. o The gradual change in nature. o the changes in evolution are welcome as natural phenomena.  MAKARA is the zodiac sign to which the Sun transits on this day i.e Capricorn.  UTTARAYANA means northern movement. As already explained, the days become brighter, longer and warmer after this festival owing to the transit of the sun.  PUNYA KAALA means meritorious or auspicious period. The increase in daylight, ending of winter, increase in warmth, reappearance of leaves upon trees and greenery in nature all add to the feeling of an auspicious time approaching.  BHISHMAS DEATH occurred on this day in the Mahabharata. The grand-sire was lying on a bed of arrows and chose this auspicious day to depart the world.  PONGAL is the name of the special food prepared from the ingredients of the early crops of the arriving harvest in the southern parts of India. o People welcome this change in season in many different ways. Some bathe in sacred water; give oblations to deceased forefathers (tarpana), clean up their homes, and exchange greetings with loved ones. o Some prepare a special food called pancha-kajjaya  a mixture of five ingredients: jaggery, coconut, peanuts, sesame and broken peas. They distribute a handful of pancha-kajjya to other houses which is an expression of sharing, friendship and love within the community. o Pongal, a delicious rice dish (also the name of the festival) is prepared in every home. It is popular among the farmers who use fresh crops from the early harvest. It is offered to the Almighty as a mark of gratitude and then eaten as Prasada. There are many different, but significant rituals observed on Makar Sankranti. Along with Pancha-kajjaya, people also distribute sugarcane (a product of the harvest season) which represents sweetness. Various types of sugar-candy artistically made in various colours, shapes and sizes are also distributed along with Pancha-kajjaya. The sugar-candy may be in the shape of trees, animals, Hindu Gods and Goddesses and other fanciful figures. The taste is always the same regardless of their appearance. This points to the Spirit within all created matter, as well as the unity in diversity. The Spirit is immortal, divine and sacred. In other words, apparent differences are to be ignored: what really matters is the integrity within. Underlining unity in diversity is a valuable message as well as a fitting welcome offered to the arriving harvest. The practices in Sankramana give us many things to reflect upon. The law of change is eternal; we need to be prepared for changes around us and to welcome them. Welcoming the harvest reminds us that winter is coming to an end, and more importantly, that we have much to be thankful for. We must accept the differences between each of us, and learn to appreciate them. We should share our feelings with each other, and embrace the idea to live and let live. These are the messages in the celebration of Makara Sankramana. At the time of Makar Sankranti many pilgrims travel to the holy city of Prayag, at Trivedi Sangam (confluence of three sacred rivers; Ganga, Yamuna and Sarasvati). In South India, the eve of Makar Sankranti is known as Bhogi. People use this time to remove unwanted bric-a-brac from the house, creating more space for the family. Makar Sankranti is also known as Pongal meaning to overflow. Rice is cooked in milk and then the rice is allowed to flow over the rim. This is symbolically significant as ones home should brim with wealth. It is the start of the celebrations of the start of the harvest season in southern parts of India. In Gujarat grain from the new harvest is used to cook khichdo. Cows and trees are also offered pujan (worship) since mans existence depends on them. People forget and forgive ill will. For this, they ritually offer each other food balls made of sesame seed and jaggery. This is common in Maharashtra too. In east India, at Gangasagar, thousands of pilgrims throng to Kapil Munis ashram on this day for Darshan. People of all generations, young and old spiritedly fly kites all day on this auspicious occasion. In Vedic texts, the Sun is shown to represent God since it sustains all life, overlooks everything and bestows its warmth and light on everything under it. Almost every cult, civilisation, and religion have worshipped or respected the Sun and its symbolism. And so the northern, upward movement of the Sun symbolises Gods guiding power taking us form the low, dark and harsh winter months to the crisp, bright and brilliant months ahead. It symbolises our movement and evolution from being clouded in bitter and cold ignorance, to the light and warmth of knowledge. The Suns northern movement reflects how we want to make progress from light to dark. It signifies the coming of brighter days, and the festivities encourage unity and love for all.